My daughter has a small place but was happy to have this item so she can see her full self every day. A wonderful addition to her dressing area that will last forever! 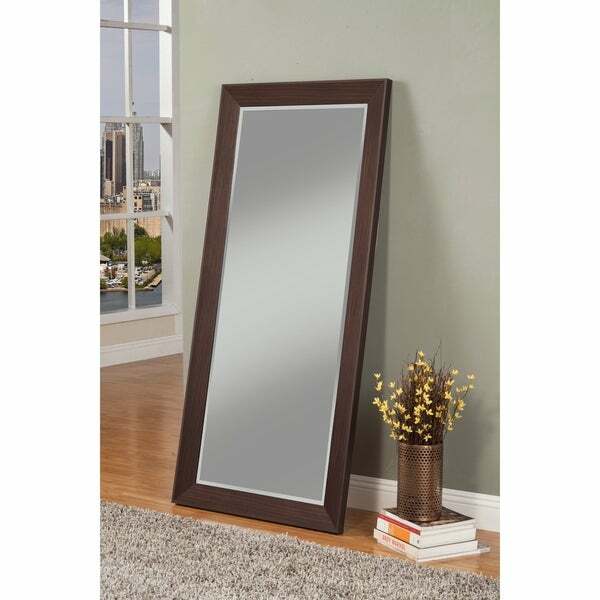 Gain a complete view of your carefully curated outfit with the Kopervik full-length mirror from Carson Carrington. With a leaner design and a rich espresso finish, this mid-century design adds simplistic beauty to your bedroom. 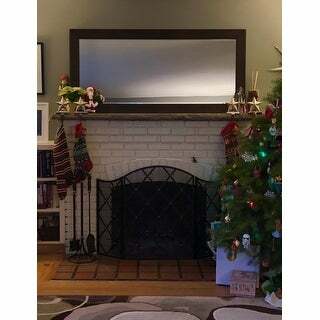 I have been looking for a mirror like this that is priced well and so glad I found it. It’s a great quality and exactly what I wanted. Heavy and sturdy. Love it! 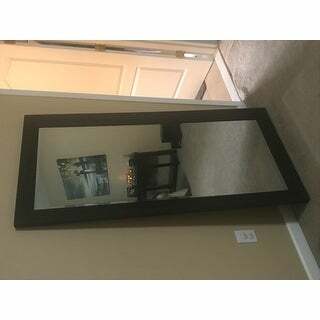 Great quality, super heavy large full length mirror. Beautiful rich dark brown wood frame seems to be built very well. I am thrilled with my purchase and can’t wait to find a final home for it. I’m not ready to put this on the wall yet but the grain matches my dressers really good. I bought this mirror to be as long as my 6 drawer dresser and it is. I know when it is put on the wall it will be just the look I wanted. This mirror is heavy so I made sure to buy the hook and wire kit. It’s beautiful. Surprisingly relatively light considering the size. The seams where the corner pieces of the wood join has some space so it looks a little weird up close. Arrived in good condition. This product is ok for the price.